Carol Kane is a veteran actress. She began her career in 1971 and landed some pretty heavy roles - one of her first films was in the Mike Nichols drama Carnal Knowledge. Later on, she'd work on other classics like Annie Hall and Dog Day Afternoon. She was even nominated for a best actress Oscar for her part in the 1975 film Hester Street. She eventually found her home doing comedy, something she never expected she would do growing up. She appeared on Taxi as Simpka, the wife of Andy Kaufman's character on the show. She was in the Muppet Movie, The Princess Bride, Scrooged, and so many others. Her current project is Netflix's Unbreakable Kimmy Schmidt where she plays Lilian, Kimmy's landlord. She and Jesse talk about her childhood, and the special school she went to that allowed actors time to audition. They also talk about many of her projects over her expansive career- The Princess Bride, Taxi, and of course Unbreakable Kimmy Schmidt. Plus, she tells Jesse that after all of these years, she still gets nervous auditioning. Unbreakable Kimmy Schmidt season 3 in it's entirety is on Netflix now! 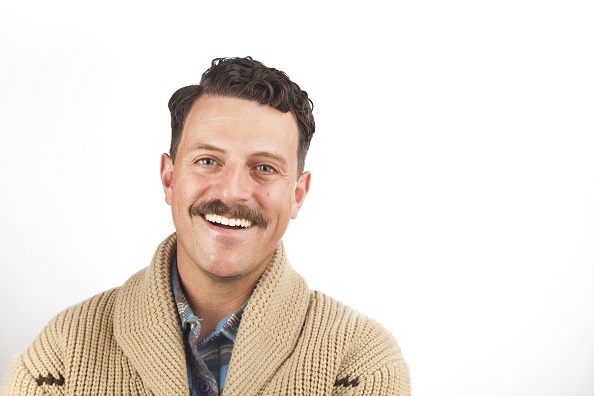 Chris Fairbanks is a standup comedian, he's appeared on Conan O'Brien, Jimmy Kimmel Live and Comedy Central. Alongside April Richardson, he also hosts the tv show Almost Genius on TruTV. His standup is really unique. It is kind of improvised, really surreal, and contains lots of quick two line jokes. Last year, we were lucky enough to host Chris at MaxFunCon, which is an annual gathering in the woods organized by Maximum Fun, and we've got a bit of his set from that show for you this week! Check out Chris' album Fairbanks! which was released in 2010 and is an absolute classic. You can also still get tickets to MaxFunCon East which is happening this September in Pennsylvania. 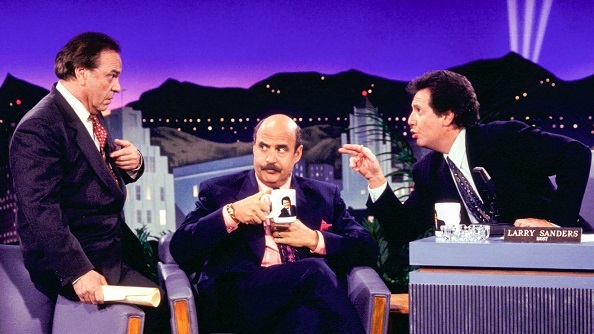 Jesse tells us about the HBO metasitcom from the late 90's, The Larry Sanders Show. 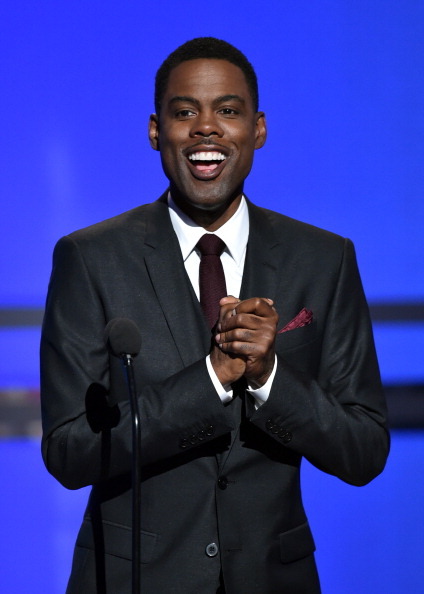 Chris Rock has never strayed for too long from stand up comedy. 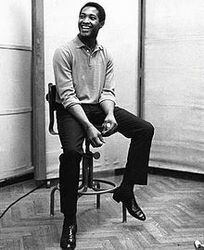 He started performing stand up in his late teens, then he was handpicked by Eddie Murphy to be in Beverly Hills Cop II. 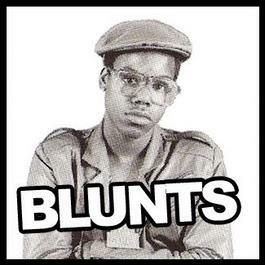 Rock then spent a few years on Saturday Night Live and In Living Color, and eventually turned to stand up yet again in the mid 1990s. You probably remember what happened next. Rock released a series of stand up specials, earning him several Emmys and cementing his status as one of the industry's best comics. It was Spike Lee's Do The Right Thing that inspired him to work behind the camera, as a movie director. Rock directed two movies in the 2000s, Head of State and I Think I Love My Wife. His latest is a comedy called Top Five. Rock stars as Andre Allen, a famous comic who wants to be taken seriously as an actor. Andre can't get audiences to embrace his dramatic turn in a movie about the Haitian slave rebellion -- they just want him to be funny. Rock will talk about why he's making movies instead of touring stand up clubs, why he isn't worried about becoming "old Bob Hope", and the real reason he's afraid of losing his fame. Top Five is in theaters this week. Artists are always influenced by the work of others. And sometimes, something an artist sees is SO good, so PERFECT that they wish they had made it themselves. 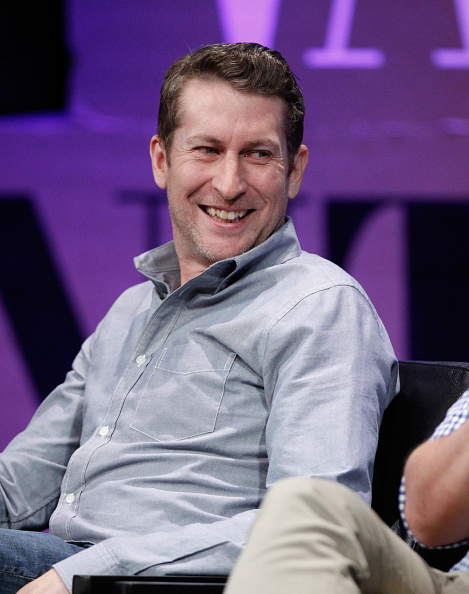 Today you’re going to hear from the Comedy Bang Bang host Scott Aukerman. One of his early jobs was as a writer for the comedy program Mr. Show. So why does this comedy aficionado wish he'd made the dark, surrealistic murder-mystery show Twin Peaks? He'll explain. Twin Peaks is currently available on Blu-ray and Netflix, and will be returning to air sometime in 2016 on Showtime. You can hear more from Aukerman on the TV show and podcast Comedy Bang! Bang!. Season three of the show is wrapping up on IFC. John Cleese is one of the most influential figures of comedy. He's best known as one the creative forces behind the legendary comedy troupe Monty Python. But before that, he was almost a lawyer. Cleese went to Cambridge, studied law, and was about to accept a job with a big firm when another opportunity came up. This one was perhaps slightly less distinguished, but infinitely more appealing to Cleese. The BBC was impressed by his work with his college comedy revue, The Footlights, and offered him a job writing and producing comedy. 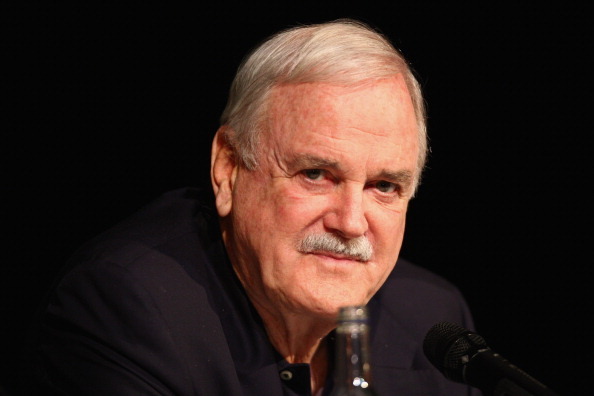 In his new memoir So, Anyway… Cleese discusses his journey, from his childhood in prep school, to his early days of sketch comedy at Cambridge, to the co-founding of the Pythons. Cleese will talk about being one of the "scientific" minds of the Pythons, writing and re-writing with his comedy partner Graham Chapman, and how he felt about the recent Monty Python reunion. Cleese's new book, So, Anyway… is available now. 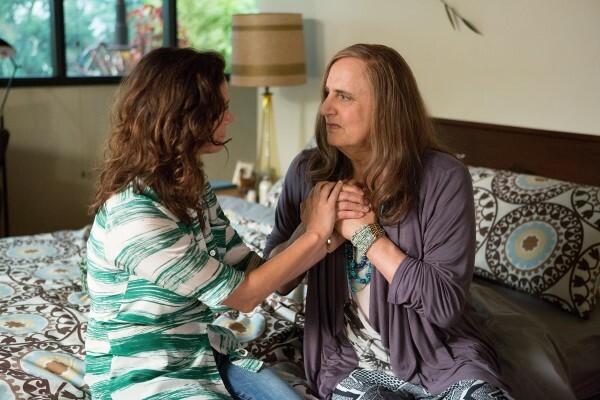 Why does Jesse like Transparent? Well, it's the rare television show that has people acting like... real people. Blogger Andrew Noz from Cocaine Blunts kicks off this week's show by recommending some recent favorites from the world of rap -- Stupid H** from Nicki Minaj, and Walking Lick by Gucci Mane & Waka Flocka Flame. For more from Noz, check out CocaineBlunts.com or his cover story in this month's issue of The Fader. 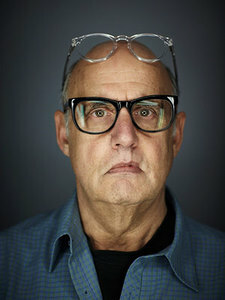 Jeffrey Tambor began his screen-acting career at the age of 35, though he'd been acting onstage since he was eight years old. A native of San Francisco, he started in television in the 1970s, and his career has followed a simple track since: he plays important authority figures (doctors, lawyers, judges) and self-important pseudo-authority figures; those have included the beloved characters Hank Kingsley on The Larry Sanders Show, and George Bluth, Sr. on Arrested Development. Jeffrey sat down with Jesse back in 2009 to talk about how he got involved with both Arrested Development and Larry Sanders (or as his mother called it, The Hank Kingsley Show), the art of finding the serious side to comedic characters, and his teaching career. He brings his acting workshop to South by Southwest later this month. His new sitcom Bent premieres March 21st on NBC. What really went down when God asked Noah to build the ark? 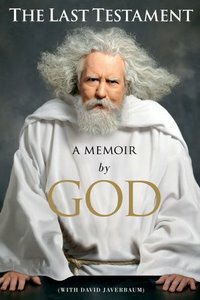 Emmy award-winning comedy writer David Javerbaum (formerly the Executive Producer of The Daily Show) is the unlikely co-writer of The Last Testament: A Memoir by God. Comedian Seth Morris acts as God’s loudspeaker to bring us this excerpt. 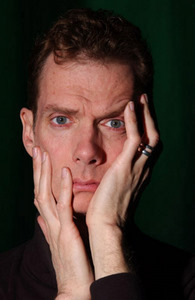 Doug Jones is a film actor who got his first dramatic training as a mime. He's since gone on to star in a number of blockbuster films over the years, though you may not recognize his face. He is the man underneath the make-up in many of Guillermo Del Toro's films, playing numerous characters in the Hellboy series, and the title character in Pan's Labyrinth (as well as the horrific Pale Man). He's often recognized for his unique physique, including long spindly fingers. You might also know him as the Silver Surfer in the second Fantastic Four film. Doug talks his unlikely career as a monster movie star, his dedication to the physicality of a role, as well as his new book that hearkens back to his original performances days as a mime, called Mime Very Own Book. For this week's Outshot, Jesse recommends the simplistic soul sound of Sam Cooke's "You Send Me," from the R&B singer's self-titled 1957 album. AMC will debut a new web series on August 22nd called The Trivial Pursuits of Arthur Banks. It stars Adam Goldberg as a theater director who uses his plays to sort out his personal life. Jeffrey Tambor plays his therapist. It also sports a very stylish black-and-white trailer. The series will be shown on AMC's website and also on Hulu.